In a nutshell, Pattaya has so much more to offer besides its glittering nightlife! Many people think Pattaya is all about the intense nightlife with partying and drinking. That is only partly true. In fact, Pattaya will spoil you with so many choices of unique tours and attractions. Check out our pick of the best things to do in Pattaya! You will end up having so many memories to cherish. Pattaya’s beaches are always lively and busy with many tourists. Chilling out by the beach is one of the best things to do in Pattaya for sure. There are 2 main beaches in Pattaya: Pattaya beach and Jomtien beach. 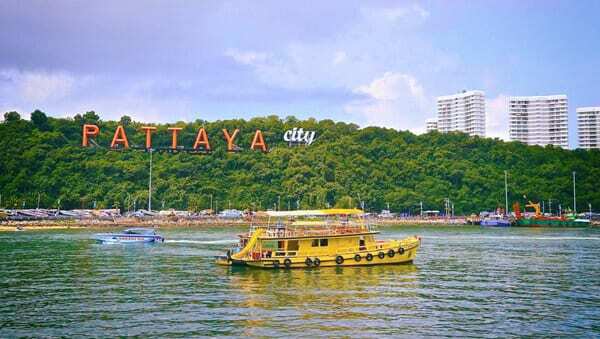 Pattaya Beach is famous for the Pattaya city sign. It is close to the main beach road which has palm trees down the paved promenade. There are many shops and restaurants nearby. It is a great place to sunbathe and relax with some good food and drinks. Jomtien Beach is for those who seek a quieter beach than Pattaya beach. The golden sand, clear blue sea, and shining sun continue to attract all type of travelers. It is also the best spot for many water sports such as surfing and Kiteboarding. If you are into water activities, Jomtien Beach is the place to go! The ladyboy shows in Pattaya are extremely popular. There are 3 major ladyboy shows: Tiffany’s Show, Alcazar Show, and Colosseum Show. Tiffany’s Show is the oldest and most popular ladyboy show in Pattaya. It is performed by super talented and beautiful ladyboys including the winner of Miss Tiffany’s Universe pageant. It has a global reputation for its performance quality and long history. You can buy 19% + 4% off ticket for Tiffany’s Show here. Alcazar Show presents a combination of dance, music, and storyline with popular Thai and English songs. They depict the glorious history & heritage of Siam with splendid performances like a musical! Save 40% + 8% off on Alcazar Show here. Colosseum Show is the newest and the largest ladyboy cabaret in Pattaya. Opened in 2013, it presents the world-class performances and luxurious Roman arena. Colosseum Theater was built for the show in a Roman architectural style with more than 1000 seats and the latest facilities. Get 64% off on Colosseum Show here. KAAN Show is for those who look for a non-ladyboy show with some next-level quality performances. Acrobatics, theatrical animation, dancing, and giant puppets are all in KAAN Show. This newest show in Pattaya just opened in May 2017. It plays at the glittery D’Luck Cinematic Theatre which was custom built for the show. The theater looks just like it’s floating in the air! Grab a 40% off KAAN Show ticket here. If you love animals or even marine animals, Pattaya is the right place to be! Pattaya has some of the biggest zoos and aquariums in Thailand. Khao Kheow Open Zoo is probably the happiest natural habitat in the world (at least in Thailand!) It has more than 8,000 animals of more than 300 species. It is an “open zoo” where you can feed the animals and even pet them. You can experience a close encounter with the wildlife and spend a fantastic day with the animals. Book tickets here before you go at a discounted price. Underwater World Pattaya is the first modern aquarium in Thailand that features 105 meters long, transparent underwater tunnels. It showcases such an extraordinary assortment of many kinds of marine animals, that you will need at least 2 hours to look throughout the place. The Underwater World in Pattaya is a great place to visit particularly for families with kids, as your little ones will learn so much about the diversity of the undersea life! You can buy 44% off ticket for Underwater World here. Dolphin World Pattaya is an outdoor dolphinarium that presents dolphin shows. They will showcase their amazingly talented dolphins with their dancing and juggling. Also, don’t miss out on meeting their mascots, the pink dolphins! They have multiple showtimes throughout the day so it will be easy to suit your schedule. Get 52% off on Dolphin World here. Swiss Sheep Farm Pattaya is another place you can enjoy spending time with animals. Barnyard animals especially. Sheep, goats, alpacas, and horses aren’t the only animals you’ll be able to see here. This is not your ordinary barnyard animal zoo. The animals aren’t the only popular things to see in the farm. Swiss Sheep Farm Pattaya is a pseudo-European sightseeing attraction combined with an animal farm. the European farm-like buildings make it picture perfect for anybody who loves to take photos. Plus there are plenty of photo spots scattered all over the farm, so be prepared to look for all the different photo spots and take beautiful pictures! Swiss Sheep Farm Pattaya is perfect for families looking for a place to spend a pleasant time with their children. Don’t worry if you get thirsty or hungry because there are plenty of shops and restaurants for you to buy food and drinks. Your entrance tickets to Swiss Sheep Farm includes a chance to feed some of the animals there, so it’s a perfect chance to try something you’ve never tried before. It is hot in Pattaya. Aside from chilling by the beach, one of the ways to cool down is going to the water parks! In fact, Pattaya has some of the coolest water parks in Thailand. Ramayana Water Park is the biggest water park in Thailand. It has 50 slides and attractions including many thrilling water slides, a double FlowRider, 3 pools, and a lazy river. It is only 20 minutes away from downtown Pattaya. So, it will be a quick getaway for the whole family to enjoy! You can buy 19% off ticket for Ramayana Water Park here. Cartoon Network Amazone Water Park is the world’s first cartoon network themed amusement and water park. It has loads of fun-filled and thrilling rides like Alien Attack, Banana Spin, Cartoonival, Goop Loop, Humunga Slide, Jake Jump, Mega Wave etc. Cartoon Network fans will rejoice at this place since there are live shows performed by various Cartoon Network characters, such as Adventure Time’s Finn and Jake, Powerpuff Girls, Johnny Bravo, and Gumball & Darwin. The little kids (and adults who are young at heart) will definitely appreciate this place! Get 13% off on Cartoon Network Amazone Water Park here. 6. Get away from Pattaya City and explore the Coral Islands! If you want to be away from the busy streets of Pattaya, go explore the beautiful Coral islands! Koh Larn or Coral Island is one of the most popular island destinations in Pattaya with its glistening white sand and transparent blue waters. It is only 15 minutes away by speedboat, and the beaches are definitely cleaner and nicer than the main beaches in Pattaya. You can sit back and relax on the beautiful Tien Beach with dozens of water activity options such as snorkeling, parasailing, underwater walking, and banana boating. You can book a day tour to Coral Island from Pattaya here. Near Coral Island, there are a bunch of small islands such as Koh Rin, Koh Phai, and Koh Man Wichai. Go on an island hopping expedition and try snorkeling at these Coral islands. This will be such a fascinating experience to swim around with colorful fish and the coral reefs. Book a snorkeling & scuba diving 1-day tour here. Pattaya has lots of incredible museums and unique attractions that pull tourists all-year-round. Exploring these places is among the best thing to do in Pattaya especially with a family. Ripley’s Believe It or Not Museum offers the most bizarre experiences to everyone. It has 10 galleries with more than 300 weirdly unique exhibits such as a shrunken head, a mask made from human skin, a wax figure of a 4-eyed man, and old torture devices. They also have many attractions available such as Haunted Adventure, 12D Moving Theater, Infinity Maze, and the Wax Museum! Get 52% off on Ripley’s Believe It or Not Museum here. Art in Paradise is one of the coolest attractions in Pattaya. This is a three-dimensional interactive art gallery with hundreds of optical illusion paintings. The gallery is set up perfectly so you can take pictures in a way that it looks like you are part of the painting. It is great fun for children as well as adults so be ready to spend at least 2 hours there! You can buy 47% off ticket for Art in Paradise here. Upside Down Pattaya is a fun place that will make you feel like you are walking on the ceiling! Pose in the house as if you are on the ceiling. It will leave you so many memorable funny photos. They also have a maze where you can get lost and try to escape. If you are seeking for unique experiences in Pattaya, this is the place to go! Grab a 27% off Upside Down Pattaya ticket here. Mini Siam presents miniature imitations of Thailand and the world’s most renowned landmarks in their well-manicured park. A walk through Mini Siam is a like a trip around the world. From the Statue of Liberty to London Tower Bridge, Sydney Opera House, and even remains of Greece and Rome, Mini Siam has it all. If you haven’t traveled around 30 countries yet, go to Mini Siam and experience how it feels first! Get 30% off on Mini Siam here. Nong Nooch Garden has a fascinating landscape with nature everywhere you see. If you love flowers, trees, and gardens, this is a great place to spend a peaceful afternoon. This botanical garden has about 670 varieties of flowers! It is not just flowers and trees though, you can also catch some cultural shows with mind-blowing Thai dance performances. The garden also has restaurants serving lunch buffets to day time visitors. Save 30~57% off on Nong Nooch Garden here. Khao Chi Chan, aka the Big Buddha Mountain, was made in 1996 to commemorate the King of Thailand’s golden jubilee. The big Buddha image was carved into the rock using a laser and then gold was used to fill in the sculpture. The image features an amazingly large size which is 109m in height and 70m in width. You can take a taxi, Songtaew, or even a motorbike taxi to get there, and it will take about 20-30 minutes from the center of Pattaya at a cost of around 500 baht. When you visit here, expect to find many eateries, fruit stalls, souvenir shops and several art galleries. Every afternoon, a cultural show will take place to entertain guests. Pattaya Floating Market has over 114 shops and vendors selling authentic Thai food, dessert and delicacies from all over the kingdom. Thepprasit Night Market, which is located on the southeast of Pattaya City (just off the intersection of Sukhumvit Road and Thepprasit Road), is the most popular night market in Pattaya. It is also called the Pattaya Weekend Night Market as the market opens from 5PM to 11PM only during the weekends. Thepprasit Night Market is huge, and you can find anything here from some cheap clothes to mouth-watering street food. The market is actually divided into 2 zones which are Food and General Product. In the food zone, you can find the two rows of vendors sell all manner of Thai food from fresh fruit juices to noodles and desserts. There are some tables and seats in amongst the sellers and stalls, but finding an empty space can be quite a challenge! In the general product zone, most of the vendors sell fake designer clothing, watches, copied DVDs, cheap T-shirts, swimsuits, handbags, and cosmetics. If you want to take a day trip to Pattaya from Bangkok for 1 day with your own itineraries, you can book this private taxi tour! 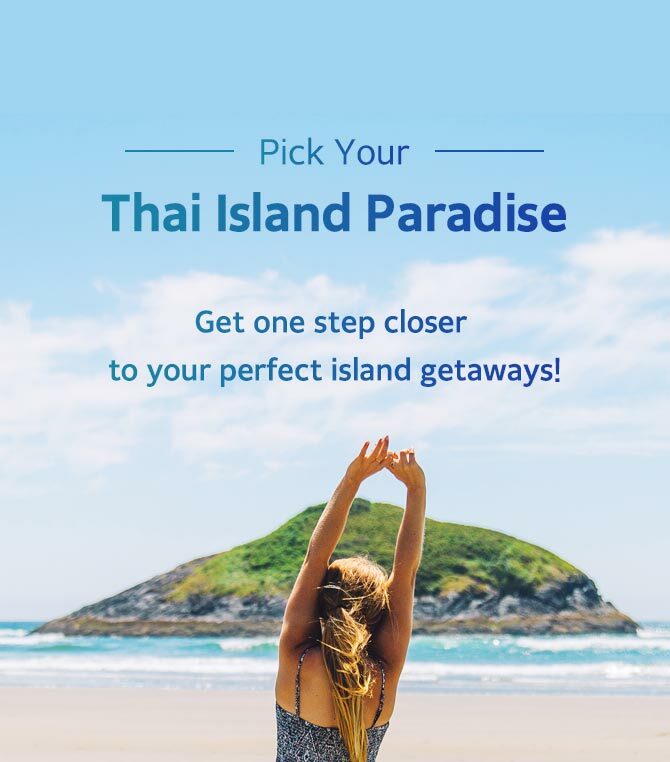 For more travel tips and ideas for your next trip to Pattaya, make sure you visit Trazy.com, Asia’s #1 Travel Shop! Get list and advice, however, I am not so sure about Mini Siam. It is boring!